Gottlieb hatched this add-a-ball machine from the skunkworks in April of the year, designed by Ed Krynski and artwork by Gordon Morison. 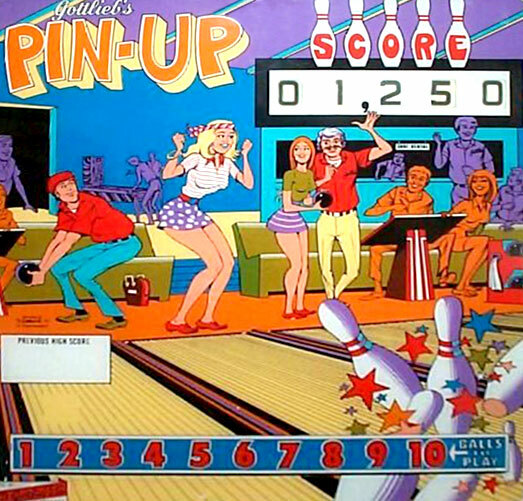 This single-player machine has a bowling theme and only 715 units were produced at that time. 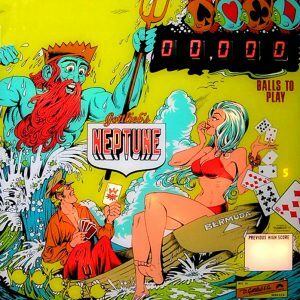 The replay version of the game was called King Pin and many more of these machines were produced. The theme of this game is the drop target completion. By carefully aiming the four inherent flippers on board the playfield, one must try to complete the horizontal row of targets. Doing so will reset the targets and the wow feature activates, giving you a shot at the accomplishment of winning extra balls. Score is another way to pop free balls. The ten drop targets are not so easy to complete and the wow feature advances when you roll over the star rollover. 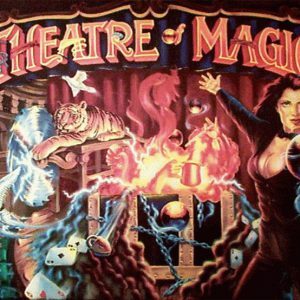 This game is challenging, but a beginner can have ample fun with the machine.